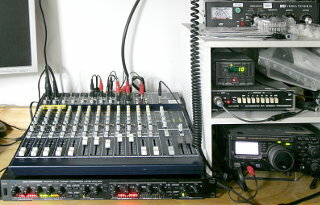 I became a radio amateur in 2005. My first and still only HF transceiver is the Yaesu FT-897D. 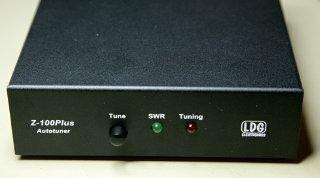 It offered the bands and modes I would likely be using for the foreseeable future, and has sufficient power output. Also, it is a very convenient portable rig, especially with internal batteries installed. I originally had Yaesu's FNB-78 NiMH-battery packs, but I've since replaced them with a homebrew lithium battery pack that offers much better performance. All my antennas are homebrew—I'm not about to design and build my own transceiver, but a technical hobby should always involve some hands-on work. Antennas are simple enough. I've used a fishing pole vertical and a vertical dipole, tuned with the antenna tuner (despite the obvious losses), now I have a home-made HF9V-clone. For portable use, I've made a trap dipole for 80 / 40 / 20 / 15 / 10 meters and the occasional monoband dipole. 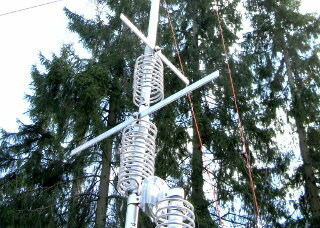 On VHF and UHF I use a pair of Quadrifilar Helical Antennas. 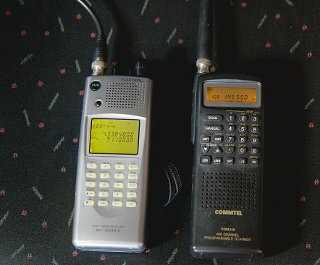 I'm now using them with a Kenwood TM-V71E, and I also have a couple of cheap Chinese dualband handhelds, which offer excellent value for their price. 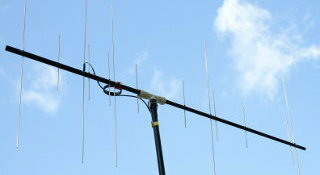 I've also built a small, portable VHF/UHF Yagi out of a fishing rod, to increase the range of the handhelds. 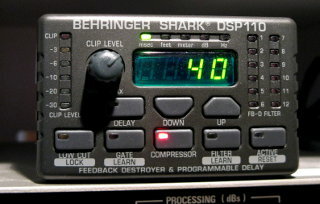 Compression is done at RF to avoid distortion, and even high settings don't sound absolutely horrid! Underneath the mixer sits an Alesis 3630 dual channel compressor. For now I'm using it on the RX audio of the TM-V71E. Phase reversal switch in headphones actually helps sometimes! Here is a modification to disable the annoying "Alarm" function! 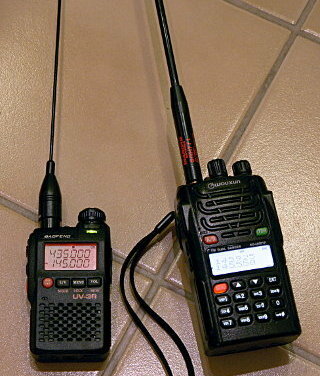 Both radios are excellent for the price. No wonder they are so popular. Both are well made and don't look or feel cheap or nasty in any way. Here are some of my early observations on the Wouxun. 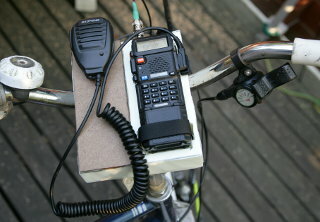 The Baofeng worked fine right out of the box (earlier versions had issues with RF harmonics and AF volume). 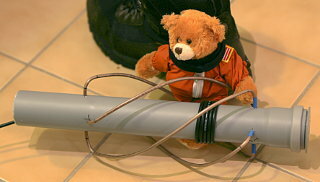 Nevertheless I did some measurements and modifications on it first. Both radios are supported in Linux by CHIRP. Also, the UV-3R software (ver. 1.11) and the KG-UVD1P band limit software both install and run just fine under Wine. 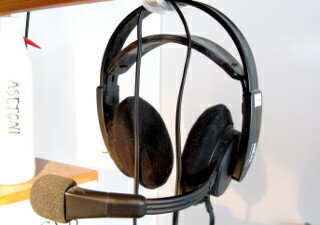 I used these to set the band limits to the Finnish ham band allocations, to prevent inadvertent out-of-band operation. This is also well supported in Linux by CHIRP. The newest version will also set band limits! Just one problem: Would a bicycle station be /Portable or /Mobile? 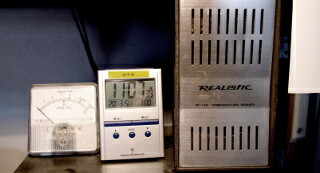 Similar to the Realistic PRO-26 and the Uniden UBC-3000XLT.